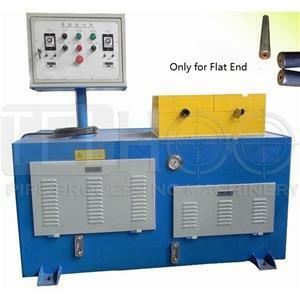 The pipe bender is a new type of pipe bending tool with the functions of bending and lifting. It has many advantages, such as reasonable structure, safe use, convenient operation, reasonable price, fast loading and unloading, easy to carry, multi-purpose and so on. 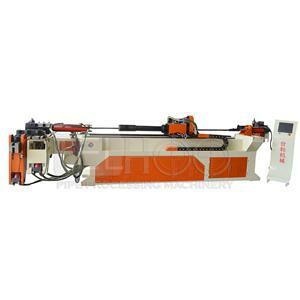 It occupies a large share in the domestic market of hydraulic pipe benders, mainly used for installation and repair of pipes in factories, warehouses, wharfs, buildings, railways, automobiles and so on. In addition to the function of bending pipe, it can also unload the bending pipe components for use as a separate hydraulic lifting machine. 1. Before operation, please check whether the lubrication points of the machine are short of oil, whether the safety protective device is reliable, whether the motion mechanism is loose, and so on, and start operation after one person confirms. 2. Start the elbow oil pump to see if the system pressure is kept within the prescribed range. If it is high, it will damage the hydraulic components, waste power, and if it is too low, it will affect the work. 3. Adjust the required position and angle of the parts and locate the parts to the required length. 4. Adjust the vertical lifting guide so that the guide die can clamp the iron pipe before pressing the cylinder. 5. Make the clamping cylinder of the clamping die clamp the iron pipe. 6. 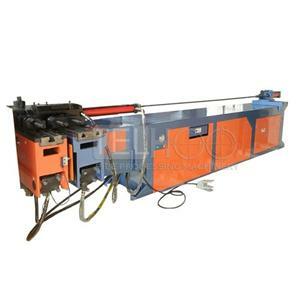 The workpiece is put into the bending die in normal operation, and the front end is contacted and positioned, and the foot switch is stepped down, which can be completed. 7. After work, cut off the power supply and do a good job of cleaning and lubricating. 8. Operate pipe bender in case of emergency, press the emergency stop button, then turn the torsion switch to the manual position, and reset it manually. If there is a fault, please report it to repair in time. Now let's talk about eight methods of pipe bender maintenance. First: When operating the pipe bender, the operation must be carried out in strict accordance with the operating rules (key points). 2. The pipe bender must be kept clean. The unpainted part should be coated with anti-rust grease. 3. Add lubricating oil regularly, regularly and quantitatively according to the lubrication chart before starting each pipe bender. The oil should be clean and no precipitation. 4. Regular inspection and repair of switches, insurance, handles to ensure their reliable operation. Fifth: The lubricating oil in motor bearings should be replaced and filled regularly, and the work of motor parts should be checked regularly. Sixth: Regularly check whether the triangle belt, handle, knob and button are damaged. If the wear is serious, it should be replaced in time. Seventh: It is strictly forbidden for non-designated personnel to operate equipment. Usually, people must be off-line and stop. Eighth: 10 minutes before each day's shift, refuel, lubricate and clean the pipe bender. 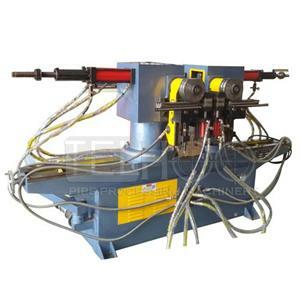 Finally, the bench and experts said that in addition to the function of bending pipe, the bent pipe bender can also unload the cylinder in the bent pipe components as a separate hydraulic lifting machine. Generally, it has good emulsification resistance and good anti foam performance. Oil with good lubricity.